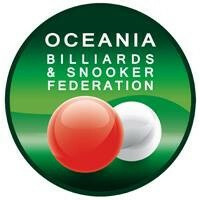 The Oceania Billiards and Snooker Federation (OBSF) has become the latest full member of the World Snooker Federation (WSF). The WSF claimed it continued to welcome the support of national and regional bodies that share its commitment to both good governance and the expansion of amateur snooker across the globe. "With its rich history in the sport, the Oceania region is a key area for strategic development over the coming years and both the WSF and OBSF are excited about the opportunities ahead," a statement read. As previously announced, Oceania will be granted a place at this year’s SangSom 6-Red World Championship in Thailand, with a qualifying tournament due to be staged in July. This is described as being "just the beginning" as the WSF aligns the interests of Oceania’s many players with the World Snooker Tour. "I am pleased to be able to welcome the OBSF to the WSF family," WSF President Jason Ferguson said. "The Oceania region has played a significant role in a long history of billiards sports. "OBSF President Frank Dewens and his team work tirelessly providing a strong framework for our sport to develop and I am very excited to be able to harness this passion and commitment within our group." Former OBSF President Mike Peachey was appointed treasurer of the WSF in October of last year, the same month in which the revised version of the WSF was officially launched by the World Professional Billiards and Snooker Association (WPBSA). In March of this year, the World Confederation of Billiards Sports (WCBS), international umbrella organisation for all major cue sports, revealed it will hold an Extraordinary General Assembly to amend its constitution after announcing it does not officially recognise the newly-formed WSF. The WCBS, formed in 1992 to promote the inclusion of billiard sports in the Olympics - which requires a single representative organisation - serves as a recognised platform for carom/billiards, pool and snooker world governing bodies. As well as being affiliated to the WPBSA, the WCBS has linked with the amateur game, initially through the International Billiards and Snooker Federation (IBSF). In 2013, the WCBS agreed to recognise the WSF as a reconfigured version of the amateur governing body as per an agreement between the IBSF and the WPBSA. In the summer of 2017, according to the WCBS, its Board was told this agreement between the IBSF and WPBSA had "never materialised".